This is Sahil Gosavi from Mumbai. I am raising fund for my mother who met with an train accident. 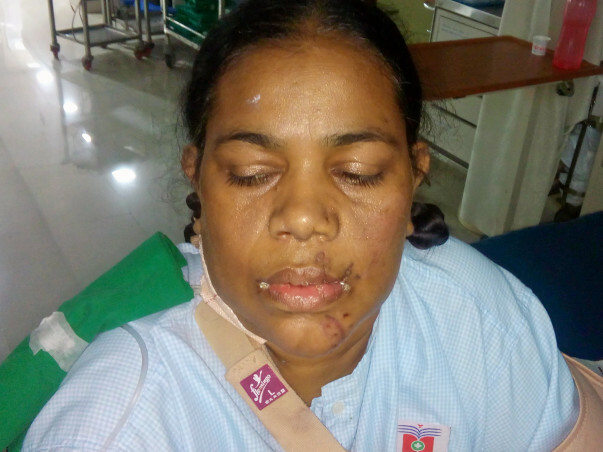 She was travelling by train on 12th October 2017, suddenly she got faint and got fall from the running train. She has got facial injuries and multiple rib factures. Her left shoulder has been dislocated. She has developed pneumothorax. 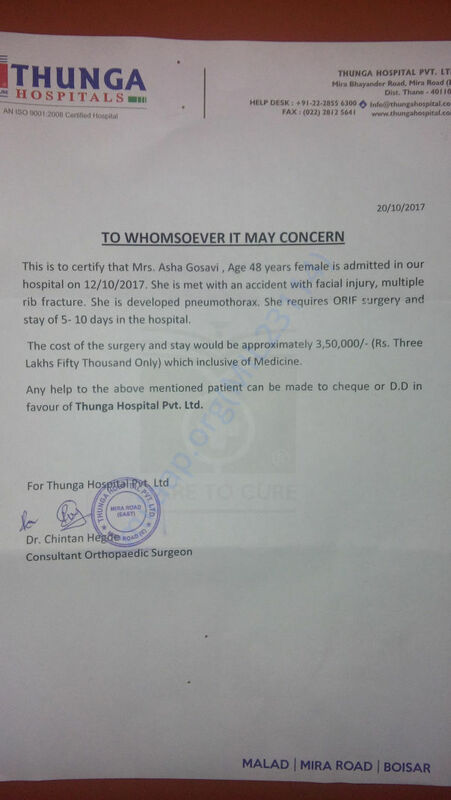 She also requires ORIF surgery. As i am the only source of income in my family. I lost my father in the year 2003. So please do help with me with the financial support.